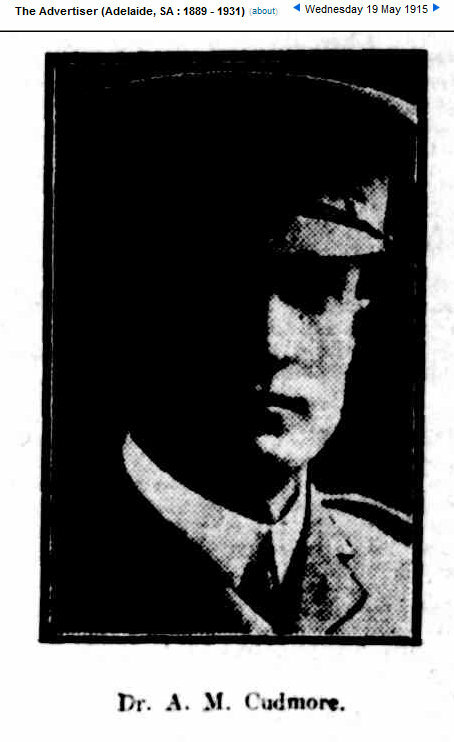 Arthur Murray Cudmore was appointed to the Australian Imperial Force as an officer in April 1915. At the same time his daughter’s future father-in-law, Constantine Trent Champion de Crespigny was also appointed. 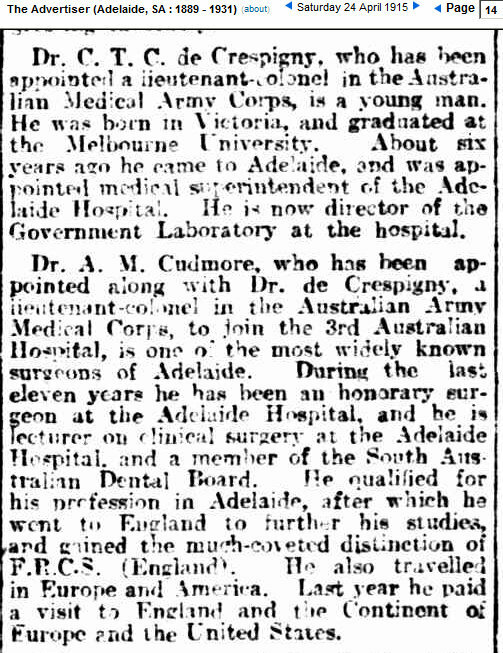 Arthur’s brother in law Wentworth Cavenagh-Mainwaring had joined the Australian Army Medical Corps in August 1914. 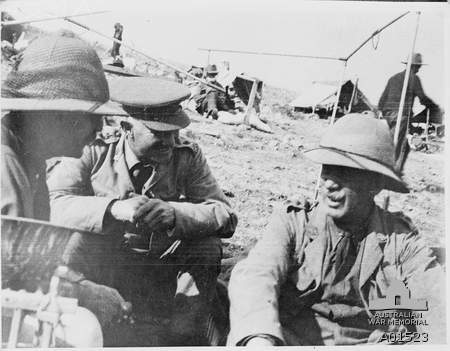 Arthur Murray Cudmore with Wentworth Cavenagh-Mainwaring at Gallipoli. 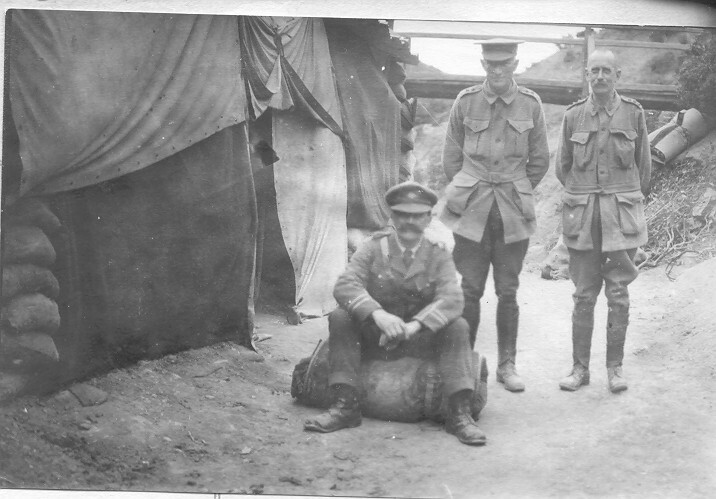 Wentworth Cavenagh-Mainwaring was his brother-in-law and also a doctor. I don’t know who the seated man is. 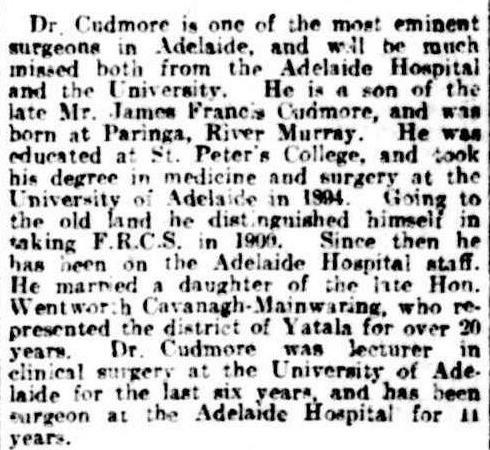 From 25 October 1915 on Lemnos Cudmore suffered from paratyphoid fever and bronchitis. 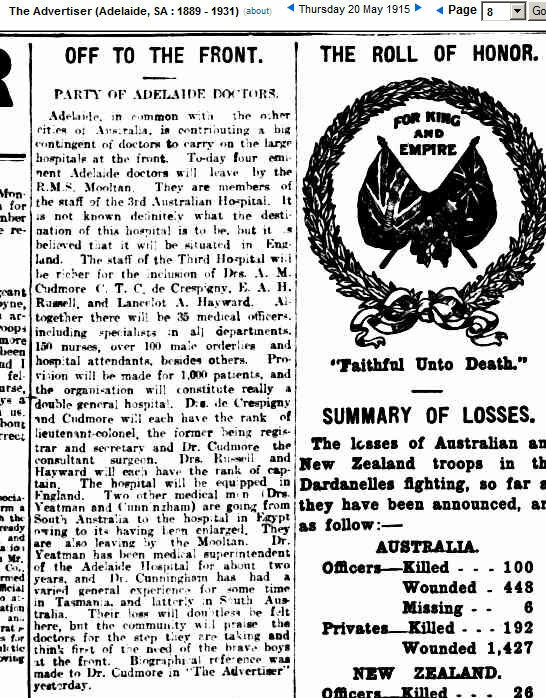 He was admitted to the 3rd Australian General Hospital at Mudros on 6 November 1915. 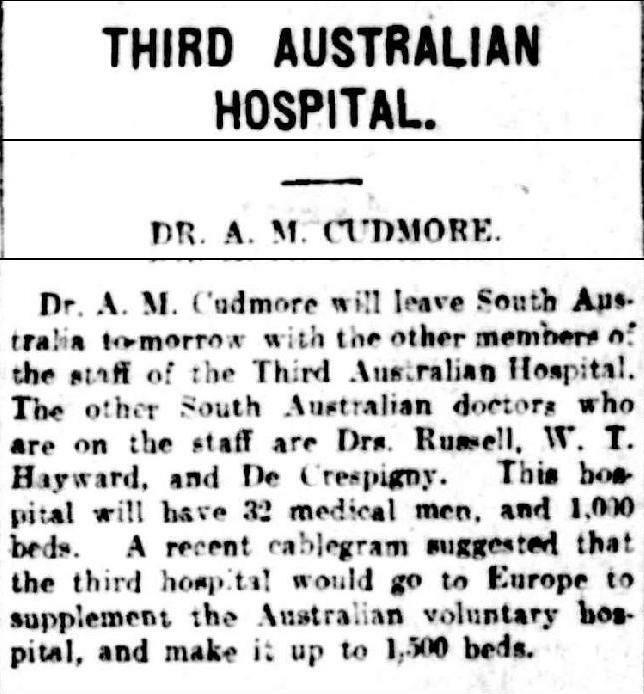 He was transferred to Alexandria in December 1915. 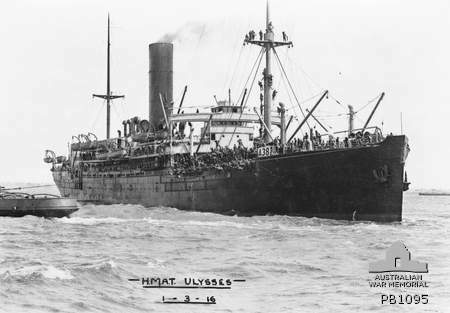 On 3 January 1916 embarked “Ulysses” for Australia and discharged as permanently unfit. The signature of the Officer in medical charge of the case, Officer in charge of Hospital, and President of the Medical Board was C. Trent Ch. 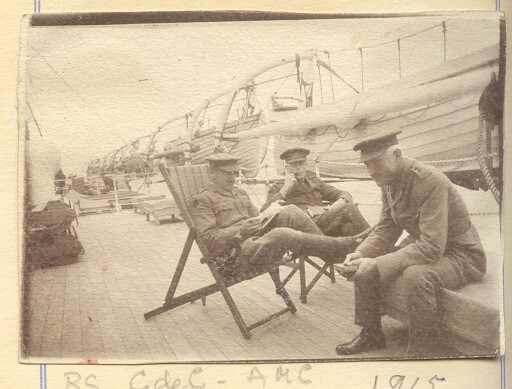 de Crespigny Lt. Col..
Cudmore was re appointed to the AIF on 25 June 1918 as Lieutenant Colonel and embarked 6 August 1918 on the SS “Gaika” from Adelaide for the UK. 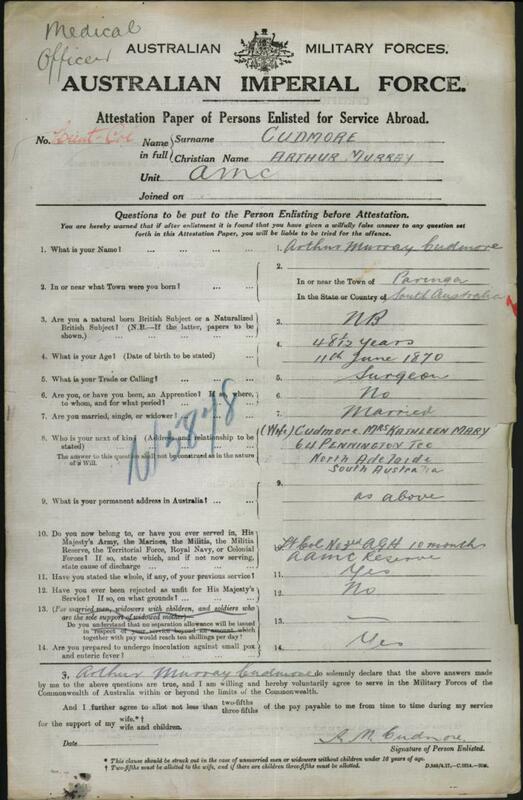 He arrived London 13 October 1918. 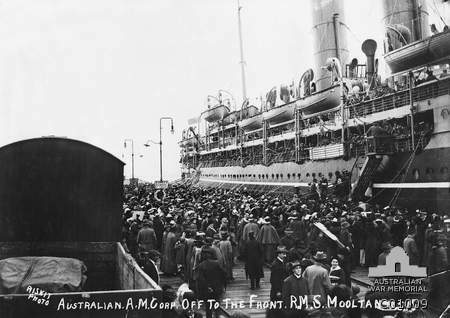 He returned to Australia on 16 March 1919 on the “Czaritza” transferring to the “Dunluce Castle” arriving 13 May 1919. 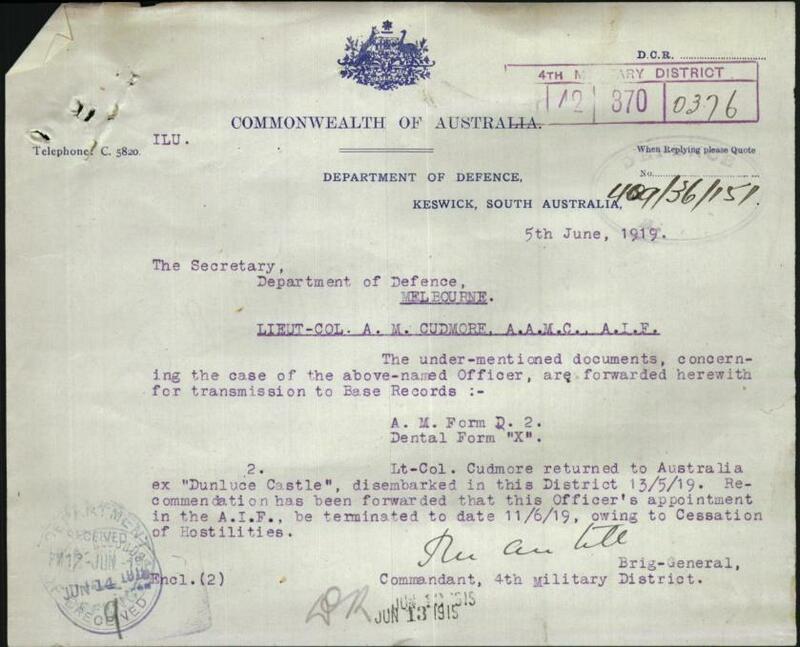 His commission was terminated in June 1919 owing to the cessation of hostilities.